Whether you’re craving the favorite brunch cocktail in its pure form or want to experiment with a daring spin on the classic, here are our favorite Bloody Mary-inspired recipes. Bloody Mary: The classic, in all its glory. Garden Bloody Mary: Grow all (or some) of the ingredients in your own backyard for a super-fresh take. Fresh Bloody Mary: The Kellogg’s Breakfast beefsteak tomato makes for a glass of sunshiney-gold. 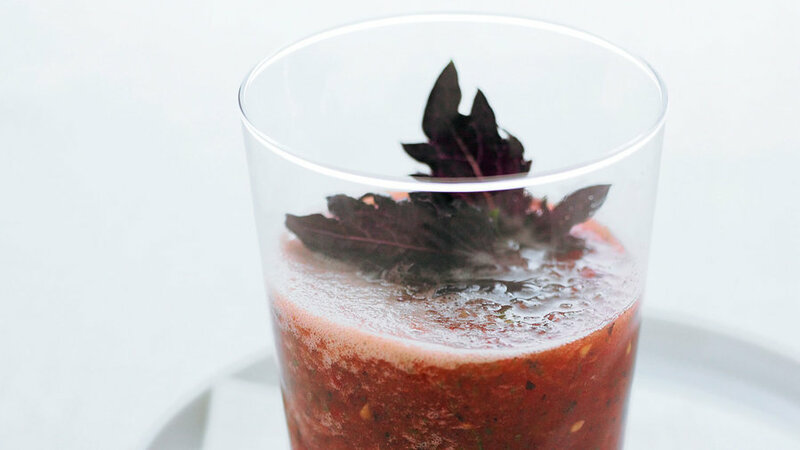 Sangrita de Toro: A spicy reboot of the classic, with tequila instead of vodka. Bloody Mary Flank Steak with Grilled Onions: Add some of the drink’s typical accompaniments―Worcestershire, horseradish, tomatoes, onions―to a good steak for this zesty dish. Bloody Mary Marinade: The seasoning that makes the steak dish, above, so tasty. 22 pickles & condiments recipes: Find creative Bloody Mary garnishes, from pickled green beans to chiles.